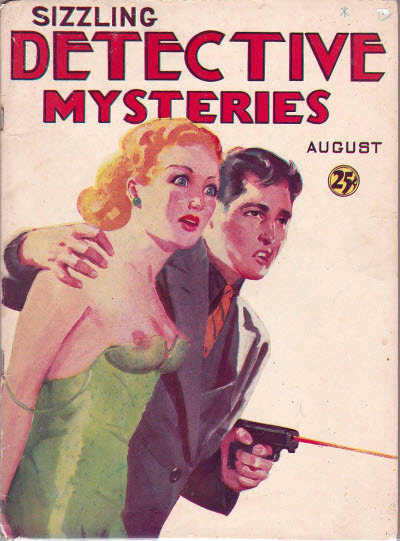 Title Changed from Snappy Detective Mysteries. 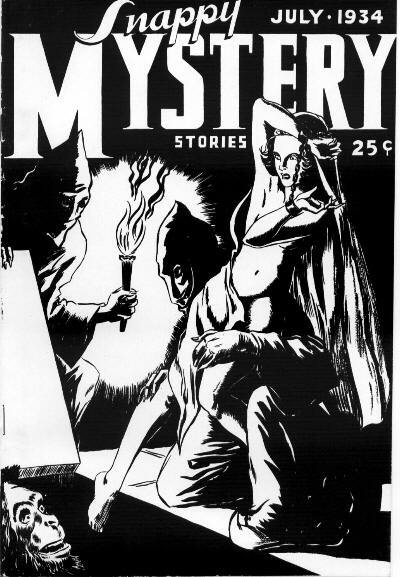 Following the initial success of Spicy Detective Stories the publishers attempted to reserve the Spicy adjective for themselves by producing ashcan issues for two proposed companion titles, Spicy Mystery Stories and Spicy Adventure Stories. Simultaneously, the same publishers (Harry Donenfeld & Frank Armer) produced three more ashcan issues, for a parallel line of Snappy titles. 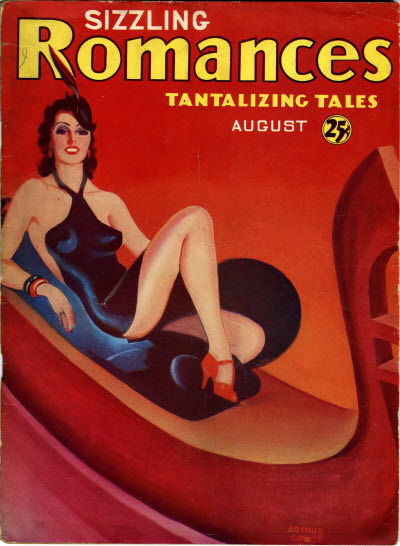 Each of these issues was 12 pages long and was dated July 1934. 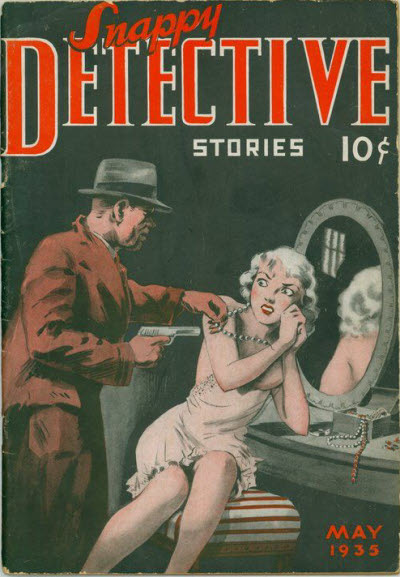 The three Snappies never did achieve real publication but, possibly in response to the launch of Snappy Detective Mysteries by a rival publisher, a second set of ashcan issues was prepared and copyrighted. They were a bit more substantial than the first issues (36 pages) and were all dated May 1935. 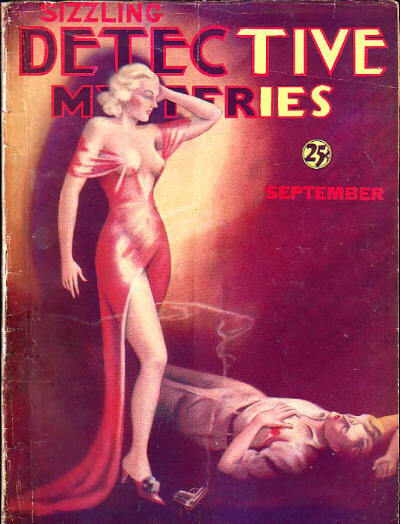 Trojan Publishing Corp.; 125 East 46th Street, New York 17, NY: Snappy Detective Stories, Jul 1934. 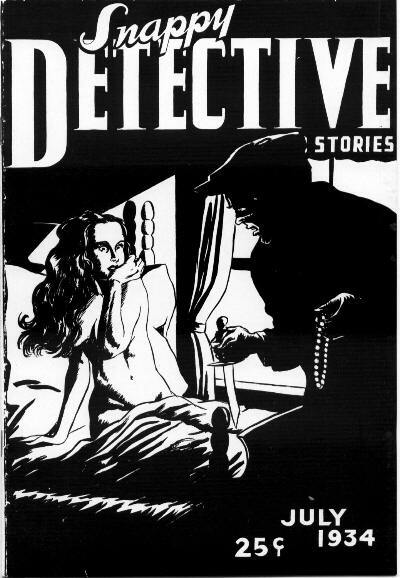 Culture Publications, Inc.; 900 Market Street, Wilmington, DE: Snappy Detective Stories, May 1935. This issue was an ashcan edition produced solely for the purposes of securing copyright. The issue was never distributed to the public. Details taken from Table of Contents. 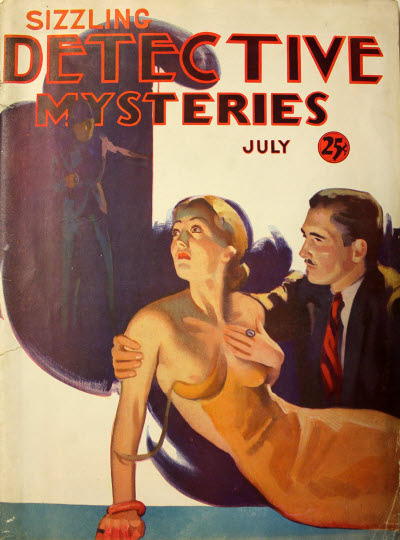 Trojan Publishing Corp.; 125 East 46th Street, New York 17, NY: Snappy Mystery Stories, Jul 1934. Culture Publications, Inc.; 2242 Grove Street, Chicago, IL: Snappy Mystery Stories, May 1935. This issue was an ashcan edition produced solely for the purposes of securing copyright. The issue was never distributed to the public. 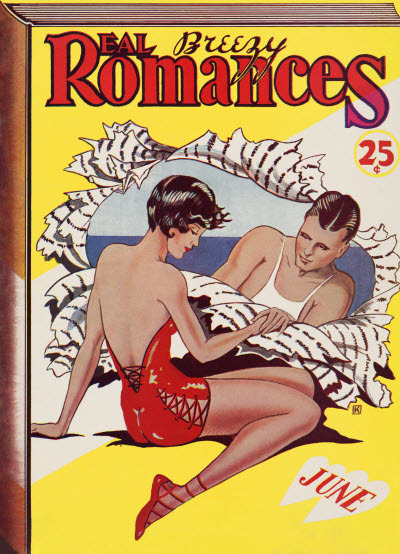 Illustrated Love Fiction. Details supplied by John Eggeling. Drums of Justice [Part 2 of 3] · Nancy Collins · sl; this part titled Time beats and heart beats. 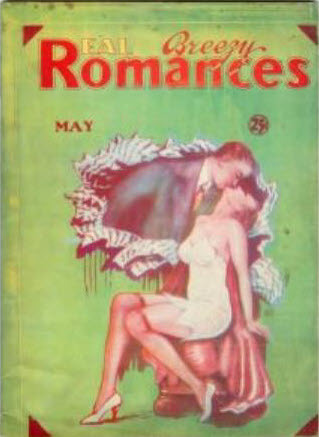 Title changed from Snappy Romances. 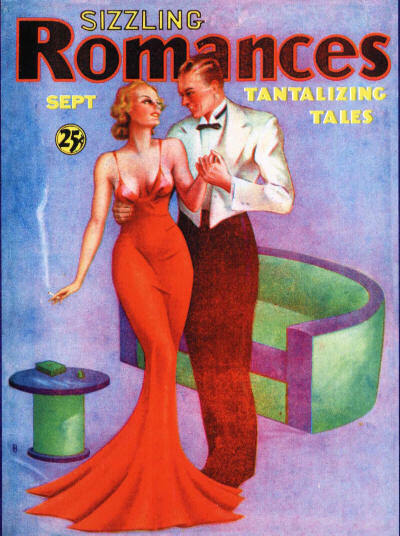 Tantalizing Tales. Details supplied by John Eggeling. 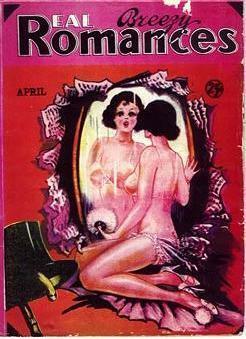 Title changed from Sizzling Romances. Details supplied by Richard Newsome from Table of Contents. 7 · Some Crust · Jargan A. Wing · ss; given as by Jargan W. Wing on Table of Contents.